Zen Cart is truly the art of e-commerce, free, open source and user friendly shopping cart software, which is developed keeping concept and output in mind rather than complex programming languages. Zen Cart store is one solution, which is developed by like minded people like shop owners, programmers, designers and many other who could contribute to the effectiveness of the solution from the ease and business, both points of view. Responding to the users needs is the crux line of any business and hence keeping the crux of the business alive, one should create application considering the users needs in mind. This is one solution, which can be installed easily and used even more easily. However, if you are new to e-commerce this may not be easy by any means to you, and then a Store Manager for Zen Cart is the most effective solution which can be considered by Zen Cart customers. Its user-friendly interface provides you with all tools necessary for effective Zen Cart product management and Zen Cart categories management. Store Manager for Zen Cart is a complex solution, which simplifies all aspects of Zen Cart store administration. 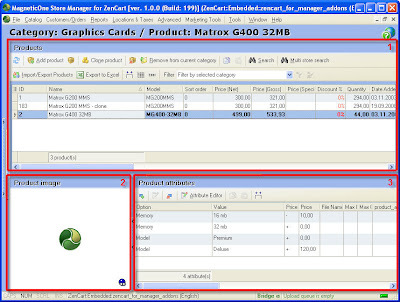 Here, one can easily import the information into the cart from the supplier or distributor. This is one of the most effective product management solutions whose job is to give you a competitive edge above the others. One of the characteristics of e-commerce is the speed with which changes can be applied to the store. That allows store owners to stay flexible, to react promptly to the market changes. 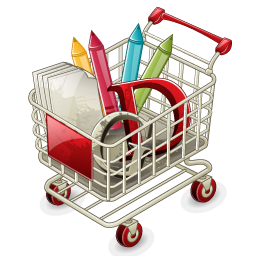 But at the same time as any business online store requires lot of time for not very interesting essential routine job. That’s why all successful store owners try to find additional decisions to simplify those typical tasks, cut the time to add products, manage categories, process orders and others. And that’s where Store Manager becomes indispensable. Its user-friendly interface allows to switch between different sections of Zen Cart, add product using context menu with 2 mouse clicks, rearrange category tree just dragging and dropping the category. Every day you save 2 hours, in a week you save 10 hours, in a month its 40 hours! 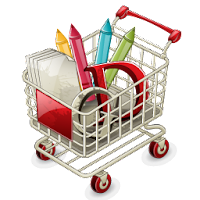 I am sure your online business success depends a lot on the shopping cart which was chosen and the easiness of the shopping cart as for a store owner as well as for a customer. But your Zen Cart shopping cart can bring you greater e-commerce experience with Store Manager for Zen Cart, proper Zen Cart modules and addons!